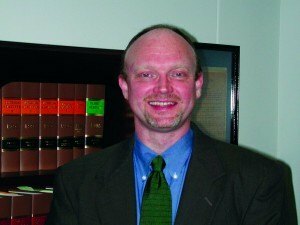 A memorandum released last week by Florida Insurance Commissioner Kevin McCarty warning insurers in the state not to use price optimization in rating has gotten cheers from a consumer advocate group and jeers from an insurance industry trade association that says the definition of the practice used is too vague. Further, McCarty wrote, the law also provides that a rate shall be deemed unfairly discriminatory as to a risk or group of risks if the application of premium discounts, credits, or surcharges among such risks does not bear a reasonable relationship to the expected loss and expense experience among the various risks. Price optimization introduces information such as supply and demand or competition into the rating of policyholders. The practice took center stage late last year when the Consumer Federation of America (CFA) charged that insurance giant Allstate was basing auto insurance premiums on the “marketplace considerations” factor. See related CM Exclusive article from 2013: Price Optimization: A Dangerous Method by CFA Director J. Robert Hunter. The topic has become a controversial one in the months since CFA’s report. So much so that the National Association of Insurance Commissioners (NAIC) formed a task force to examine the practice and is currently working on a white paper on the subject. Since December, California, Maryland, Ohio, and now Florida, have put insurers in their states on notice that their state insurance departments will not approve rate filings that use this practice. 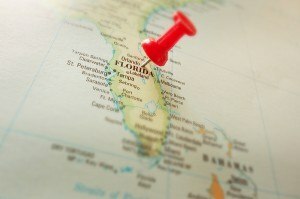 The problem with McCarty’s warning, says Alex Hageli, director of Personal Lines Policy for the Property Casualty Insurers Association of America (PCI), is Florida’s definition of price optimization isn’t clear, and, as such, the regulator’s assessment could be unnecessarily punitive to insurers and policyholders in the state. “We are concerned that [the definition] is vague and very broad and may implicate some rating practices that are beneficial to policyholders,” he said. Hageli says the charge by regulators of “rate throttling,” or the more politically correct term “price elasticity,” is evidence that regulators and consumer advocates do not understand the rating process of insurers. However, CFA Director of Insurance and former Texas Insurance Commissioner J. Robert Hunter applauded McCarty’s action and called on insurance commissioners around the country to follow his and the three other states’ lead. Hageli said CFA’s claims about the practice are much ado about nothing. Hageli says PCI hopes to sit down with McCarty to get clarification on what exactly the OIR is classifying as the practice, what maximizing profit means and if the definition applies to all lines or just personal or commercial lines. He said the worry in the industry is that what carriers think is vagueness in the rules could put them out of compliance without them realizing it. The OIR says it is required to initiate proceedings to disapprove a rate that it finds on a preliminary basis may be excessive, inadequate or unfairly discriminatory. FLOIR had no further comment on the memo and did not respond to a request to describe what punishments or actions could be taken against insurers in the state of Florida that do not comply. CFA and the Center for Economic Justice (CEJ) have written letters to state insurance commissioners and presented to the NAIC over the past two years calling for pro-active and pre-emptive efforts to protect consumers from “big data” and other non-risk related strategies for rating drivers and homeowners and raising prices, the CFA said in a statement. Additional states may not be far behind Florida in issuing warnings. Hunter said New York has issued a call for information and he said his group is aware of other states that are considering action. Reuters Column: Are Loyal Drivers Paying More to Insurers?